If you have seen the Spongebob Special episode called Spongebob’s House Party, then we think you would have an idea on how important following to the simple schedule really is. But unlike in the TV show, people would normally stick with the program agenda for formal and non-formal events. 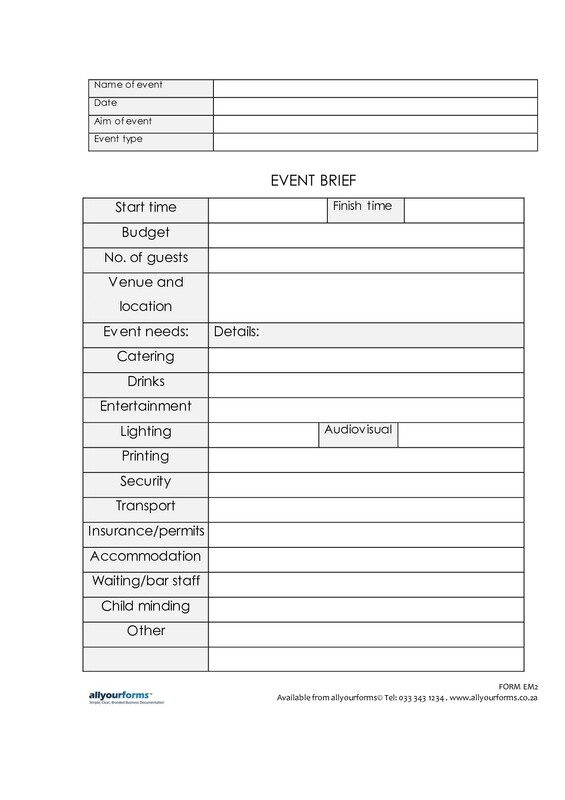 But before you can start writing down the program agenda for the event, you have to write down the event brief first. 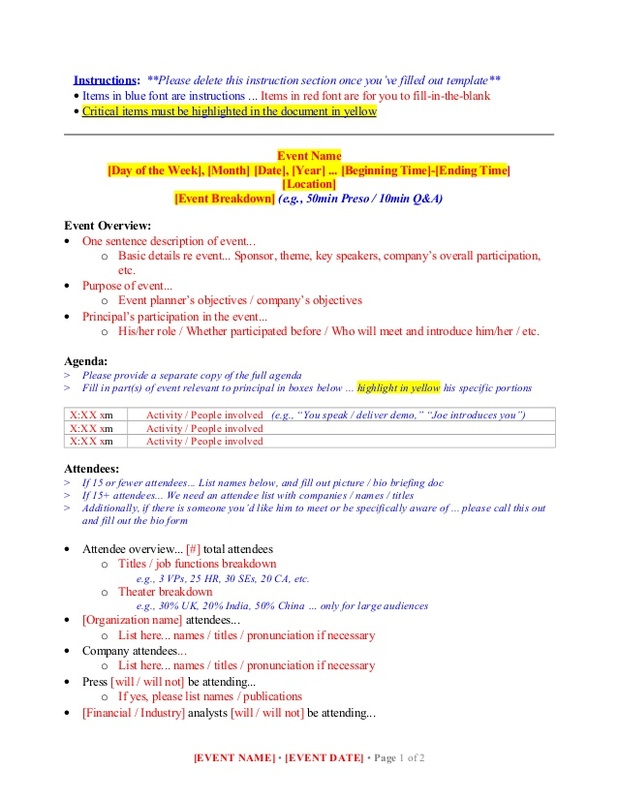 What is an Event Brief? 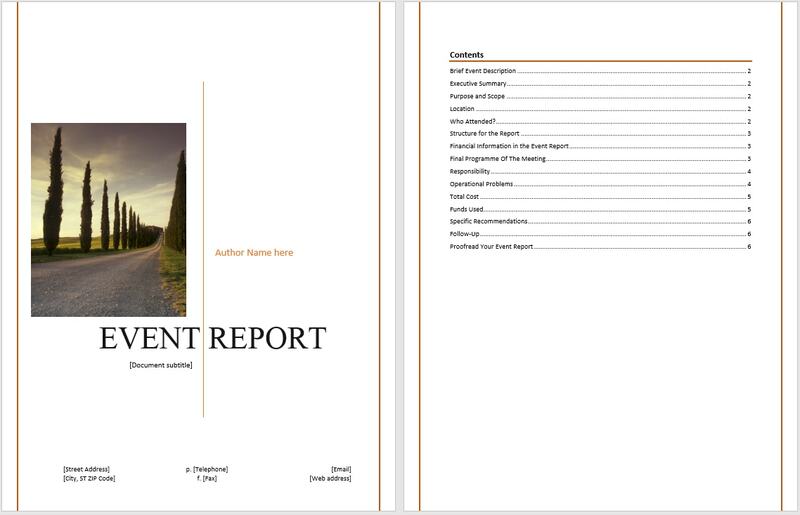 Whether you want it to be detailed or perhaps a summarized version of it, an event brief is a complete overview of the event that you are going to throw or hold. 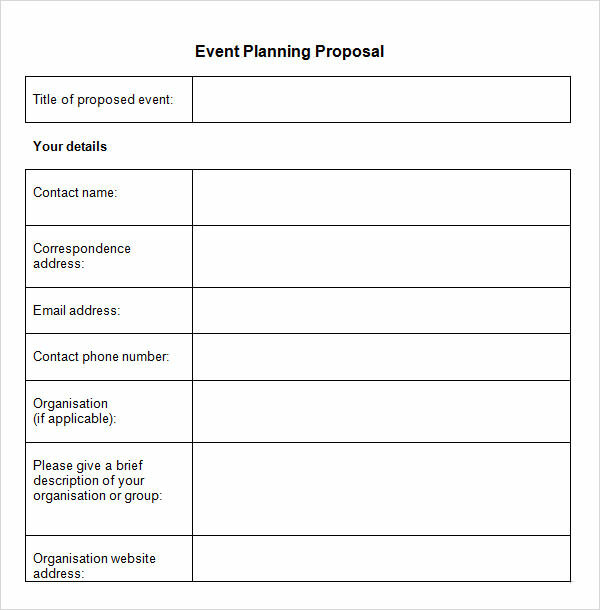 When writing said event brief, it has to include any details that are deemed relevant to the event and how you expect it to run such as key dates, limitations etc. 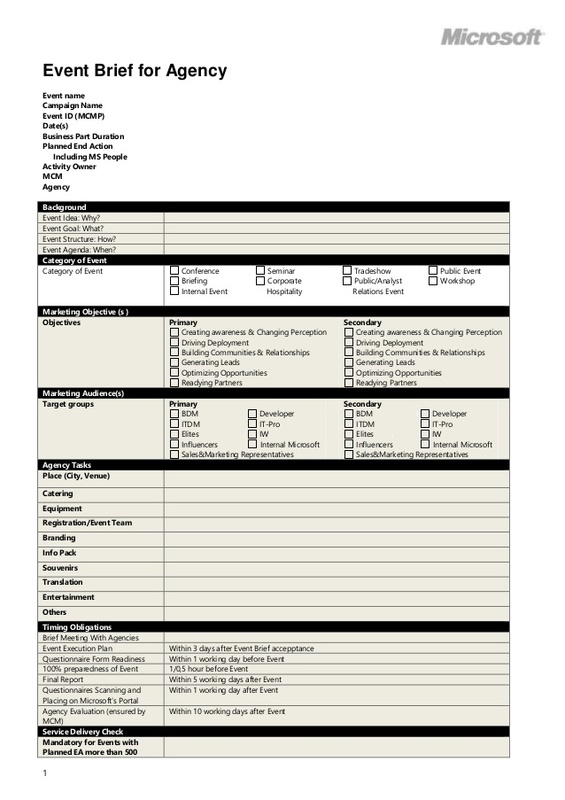 You may also like summary writing examples and samples. Event briefs exist so that you can always have a something to go back to should you get sidetracked along the way. But even with event briefs, you really cannot expect everything to go your way as there might be some unforeseen changes that you have not thought of. That is why flexibility is an important trait that you should possess so that you do not freak out whenever it happens. Concoct backup plans ahead of time so that you can be prepared for any eventuality. You may also see project brief examples. 1. To begin the brief process, you must give a clear overview of the event. What is the event about and why you holding it in the first place? These are just some of the questions that you need to ask yourself first. This may include: details of the events structure, and a clear description of what you want to happen during the course of the event. The goal and aim of the project should be included here. You may also see how to write a summary. 2. The date of the event must be specified which also consists of dates of any interviews, meetings and other times in which you must attend. Time is gold and so are the dates that are indicated in the event brief. Once a person has committed to helping out in the event, the person cannot back down, otherwise, the one organizing the event would have wasted a lot of precious time and effort. You may also like summary examples. 3. The venue/location must be specified. 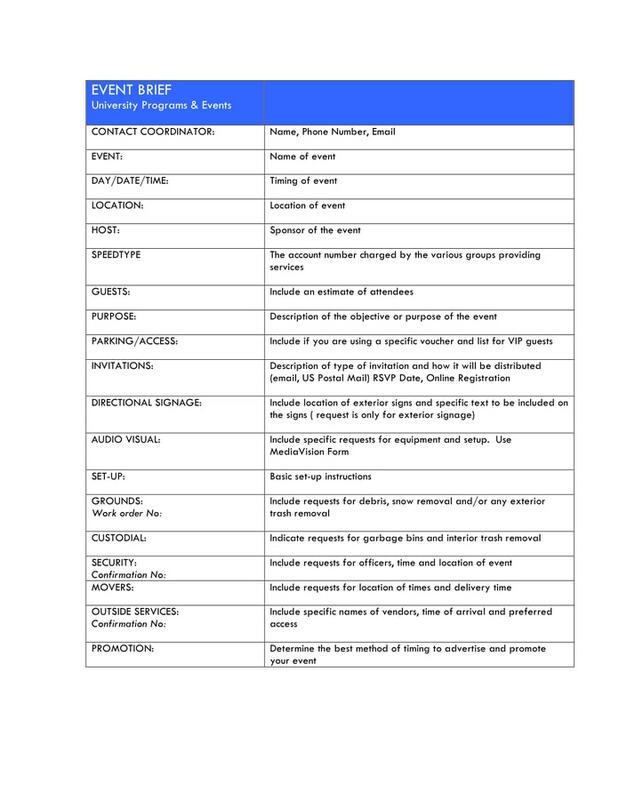 In the same manner, you also have to carefully select on where you would wish to hold the event. Depending on the kind of event you are hosting, there are a lot of good places to go around, not just limited to one place only. 4. Your target audience should be decided on before planning to put in the brief. Who is your target audience? Is it the youth? Is it the businessmen? Is it college graduates? Is it for the grandfather generation? Some countries have their annual business month and based on the event itself, it is not for kids nor for regular adults, but for businessmen and economists who are looking to make the state a better business opportunity for people. You may also check out meeting summary examples. 5. If there are any partners from outside groups that you are working with, they should be included in your brief, stating what they do, and how they are involved in the event. Every single party has to be documented. Without proper documentation, they are considered as aliens who might be intruding the event itself. 6. State a clear budget at the start of the event to plan around. Depending on your available budget,, you would have to maximize your resources and sometimes make do with the compromises present. If you have a budget of $1000 for a wedding event, you cannot expect it to be too grand. You would just have to settle for a simple wedding instead. Budget preparation presents people with options and choices as to what they can avail with their limited funds. You might be interested in research summary examples. 7. Income and expenditure targets should be included. If this is a fundraising event, list down how much profit you might earn from the event. If the fundraiser is going to include lots of freebies and meet-and-greets, it might generate a lot more profit than you can imagine. So as long as the proper medium is used. 8. All management/main roles in the event must be specified, with a brief description for each so people know what they are putting themselves forward for. Everyone has an important role to play for the event to become a success. Whether you are working with a team or your friends, it is your job to properly designate and assign each corresponding person’s role so that they would know their task and role for the event when it comes. One advantage of assigning their designated tasks ahead of time is so that they can coordinate with one another better. You may also see thesis summary examples. 9. Lastly, any necessary contact details should be put in the brief so that any questions about the brief can be answered. In case your team or your friends might have some questions for you or vice versa, input all the contact details of each team member as to have quick responses from the concerned parties. 10. 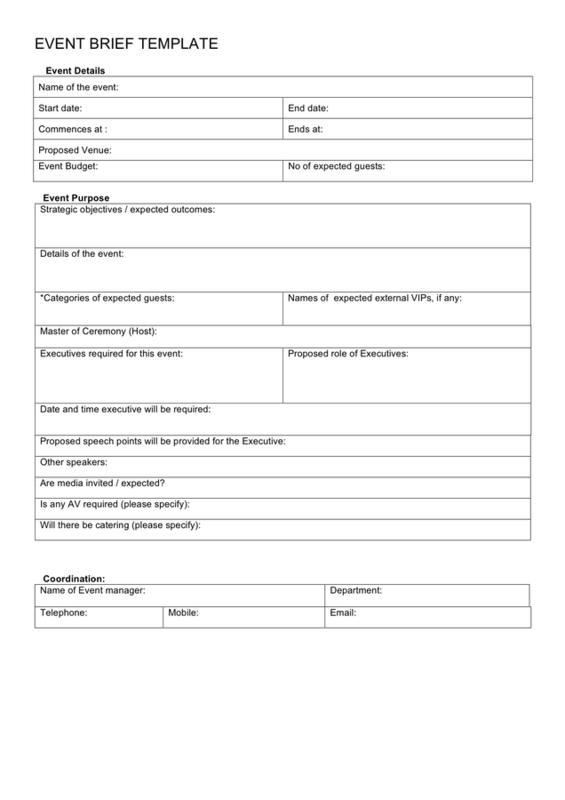 An event brief can be used as part of a recruitment process for leadership roles on the event you are planning. Application forms can be attached. In the professional world an event brief often accompanies job adverts for freelance project coordinators. You may also like project summary examples. We hope you enjoyed browsing through our event brief examples. 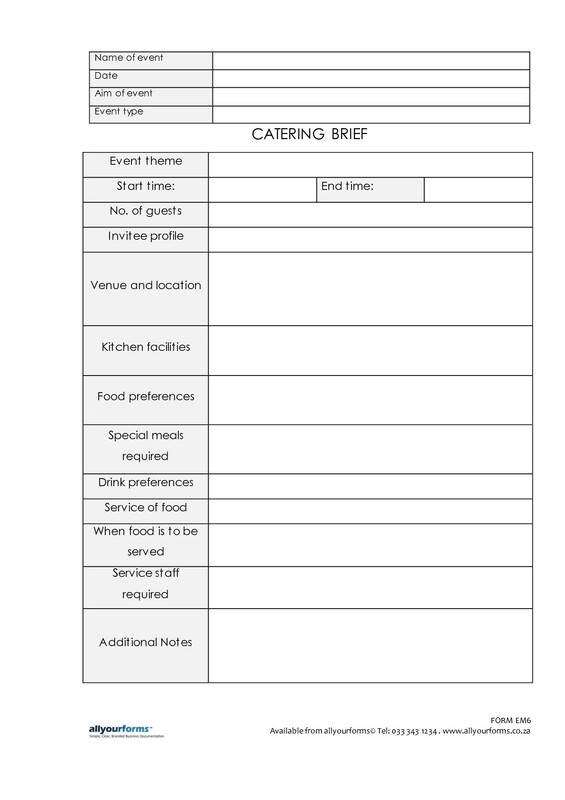 Feel free to download them and use it as a reference when you will be making your own event brief.